A large system typically is or can be decomposed as a composition of components. Usually, these components have to cooperate so, their composition is a synchronized parallel composition. Components are often reactive systems. In the B method, each component is an event system. Then, two development paradigms — refinement and component composition — can be used. To provide both paradigms we have a compositionality result of a synchronized parallel composition with respect to refinement. We make use of this result to get an eficient approach to verify the refinement of a synchronized parallel composition between components. 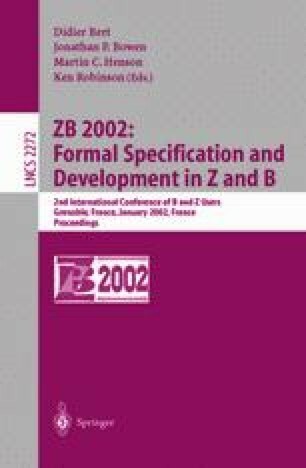 Therefore, our proposal allows introducing a second development paradigm in B, the component paradigm.